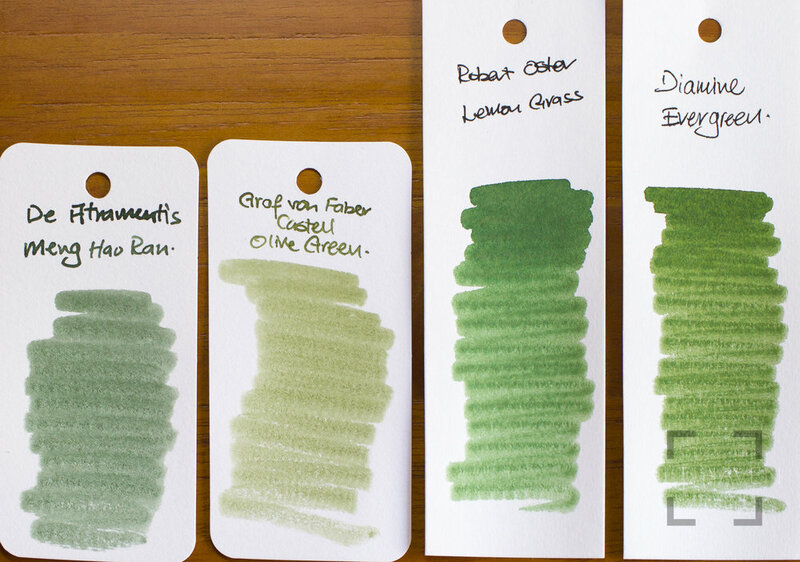 My thanks to Ana of The Well Appointed Desk for the ink sample. Pen BBS is a China ink manufacturer. They have a wide variety of ink colours. No. 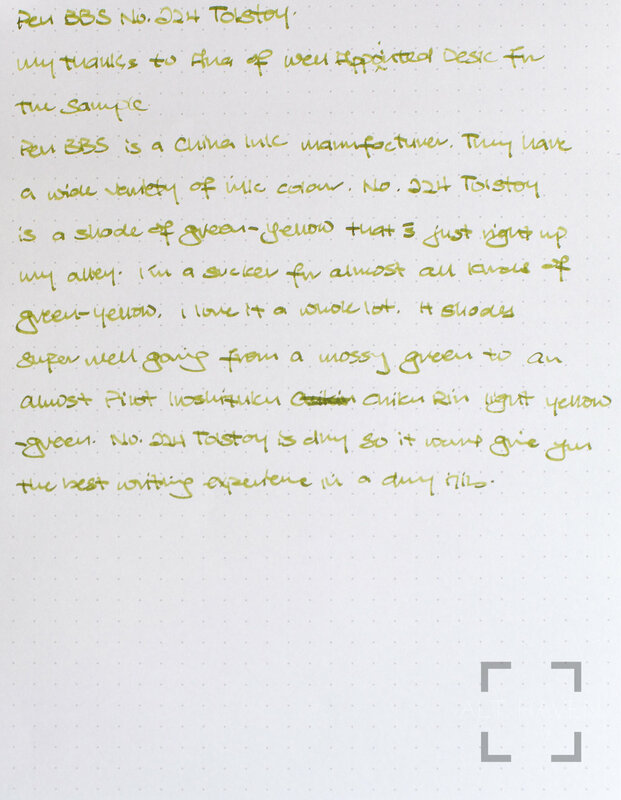 224 Tolstoy is a shade of green-yellow that’s just right up my alley. I’m a sucker for almost all kinds of green-yellow. I love it a whole lot. 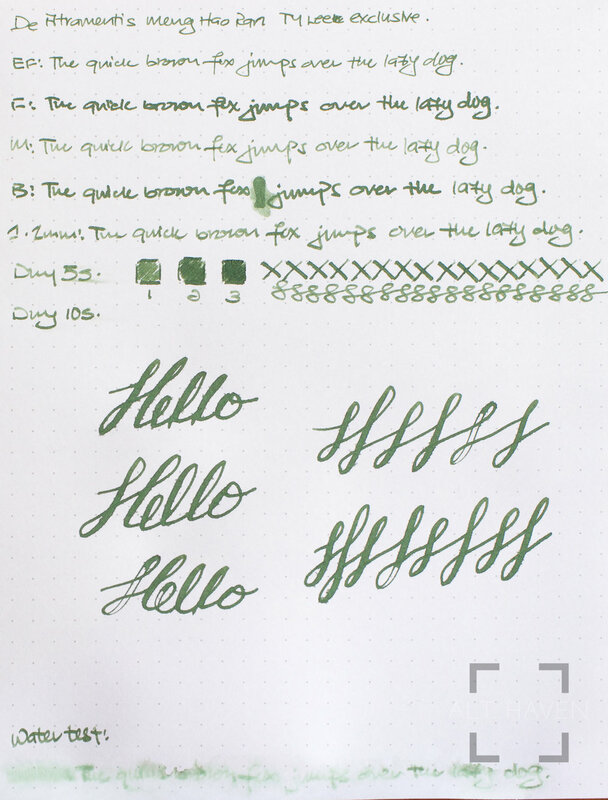 It shades super well going from a mossy green to an almost Pilot Iroshizuku Chiku-Rin light green-yellow. No. 224 Tolstoy is dry so it won’t give you the best writing experience if you filled it into a dry writer. This is another TY Lee ink exclusive. 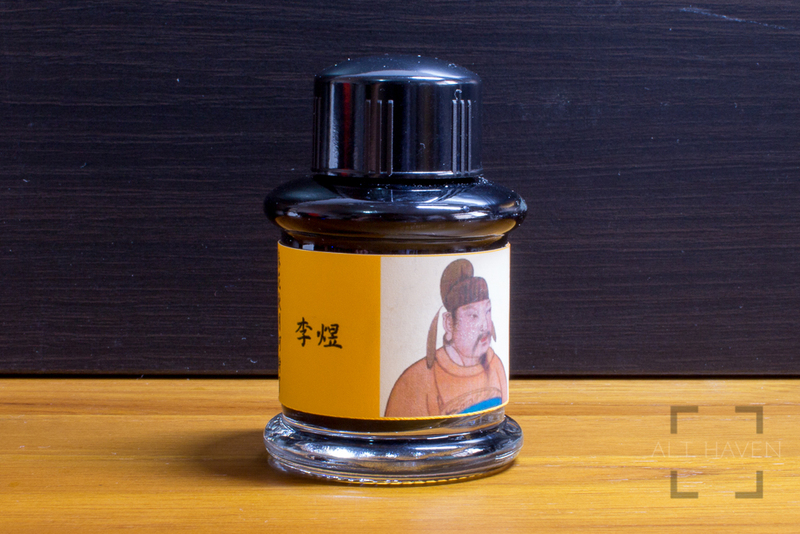 Li Yu is yet another scented ink. It smells vaguely floral and I do not really enjoy it. Thankfully it isn’t a strong scent. Li Yu can be a deep dark saturated black ink or a shading grey ink. 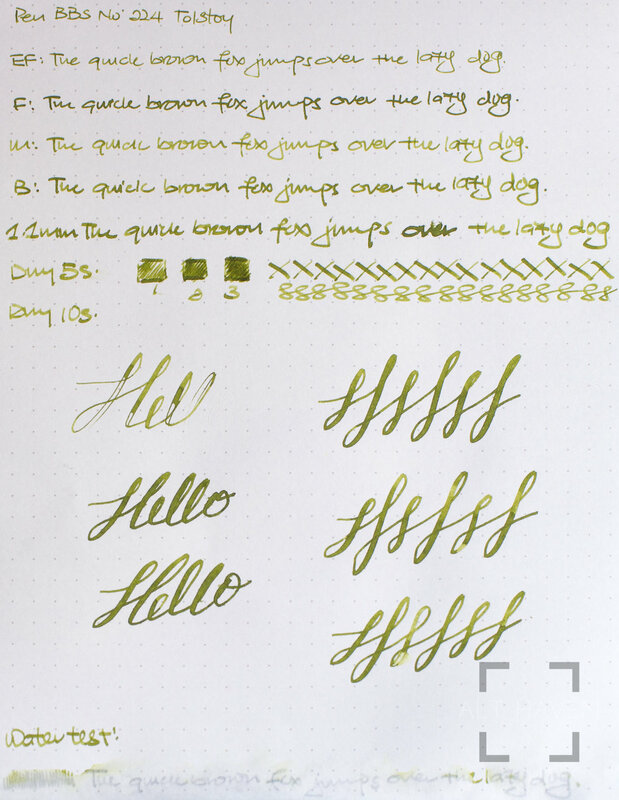 It all depends on your nib and how wet it writes. It is a rather lubricated ink and I enjoy that property. Frankly for a store exclusive ink, I don’t see anything special reason why one should buy this ink over something else similar. Yes, it is water resistant but there are other inks that have the similar property too. After all it is black or grey depending on your nib. So your mileage may vary with De Atramentis Li Yu. KWZ Chicago Blue is a standard dark blue ink. It is mostly flat and doesn’t shade very much. It does have the standard KWZ ink scent and so if you don’t like it, stay away. This colour feels excellent for corporate use. Also if you are looking to buy a bottle of KWZ Chicago Blue, you’re probably out of luck. This was made exclusively for the Chicago Pen Show 2017. My thanks to Glenn for the ink sample. 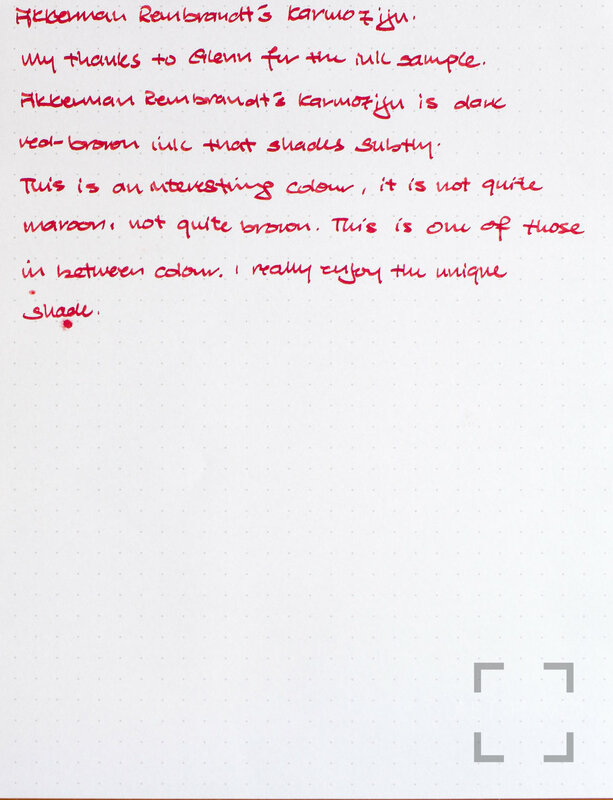 Akkerman Rembrandt Karmozijn is a dark red-brown ink that shades subtly. This is an interesting colour, it’s not quite maroon, not quite brown. This is one of those in between colour. I really enjoy this unique colour. 3 Oysters is a Korean ink brand that is just starting to surface on my radar. Purple Grey is like its name purple and grey. The purple can be just the barest of hints. 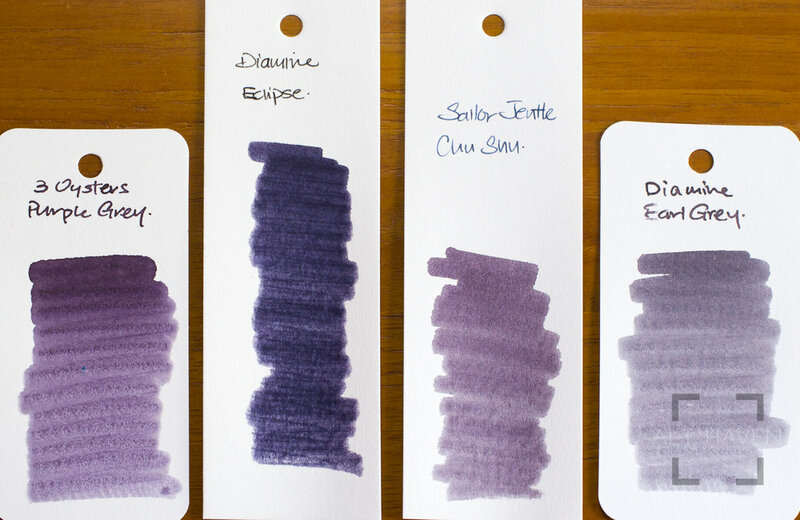 3 Oysters Purple Grey is dry without a doubt. 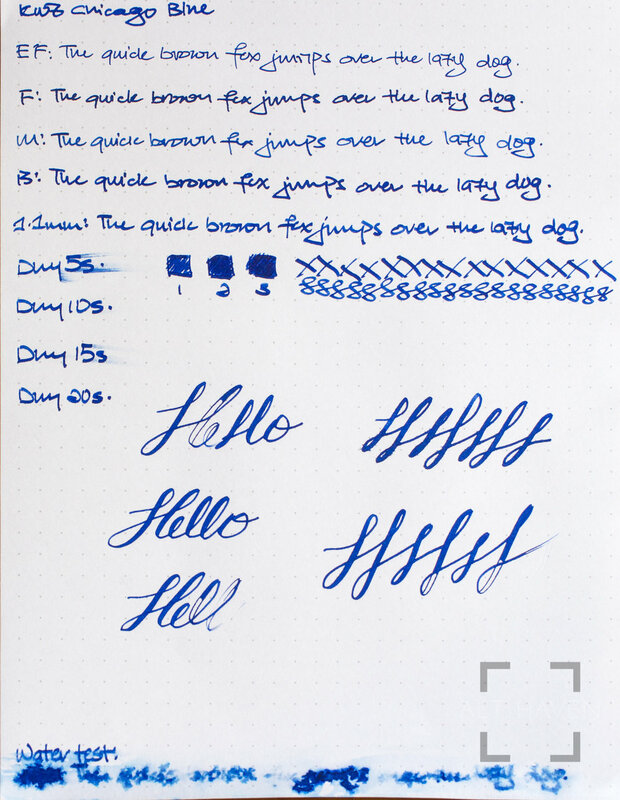 It is an excellent ink to tame wet nibs and for lefties in general. 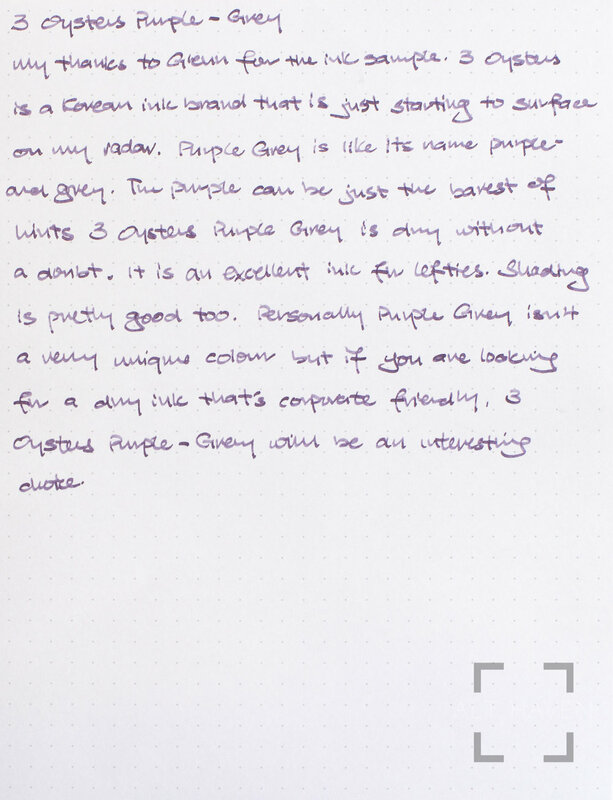 Personally I don’t think Purple Grey is a very unique colour but if you are looking for a dry ink that’s corporate friendly, 3 Oysters Purple Grey will be an interesting choice. De Atramentis Meng Hao Ran is a TY Lee exclusive ink. It is a strange mix of green-yellow with a strong grey undertone. It is on the dry end of things. 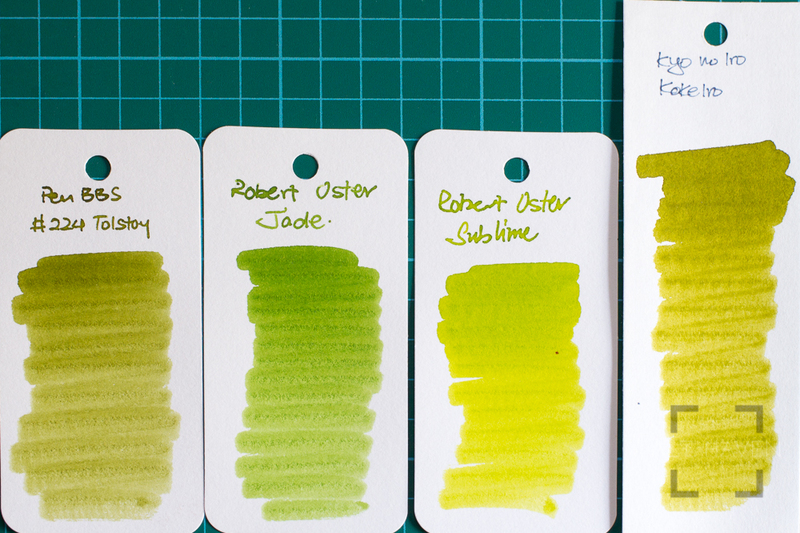 I must say this ink reminds me strongly of Robert Oster Signature Lemond Grass. And it isn’t exactly my favourite shade of green-yellow, as much as I am a fan of the shade. Meng Hao Ran is also a scented ink. Thankfully, the fragrance doesn’t linger for long because I really do not like the scent at all. Overall, Meng Hao Ran isn’t the ink for me.